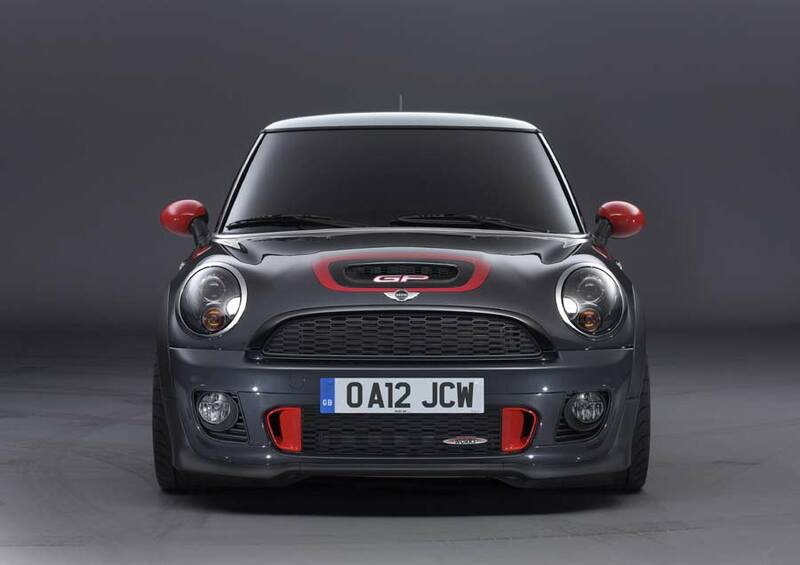 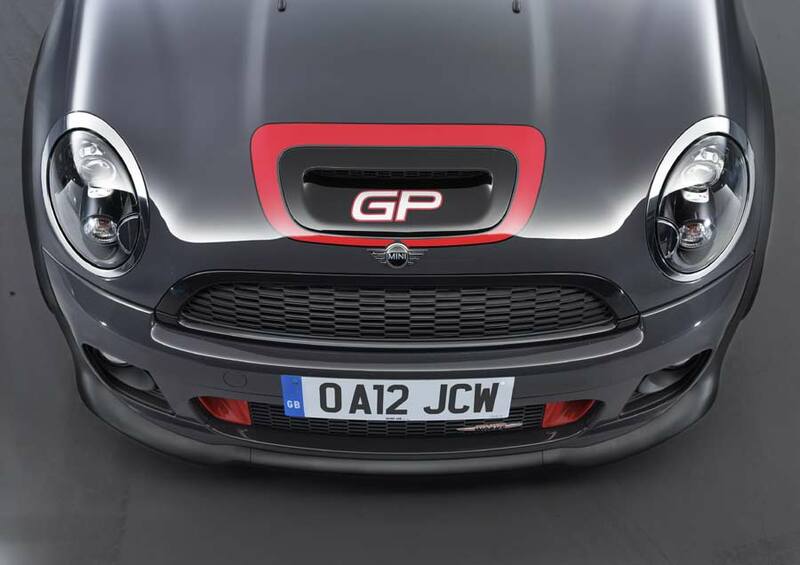 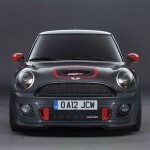 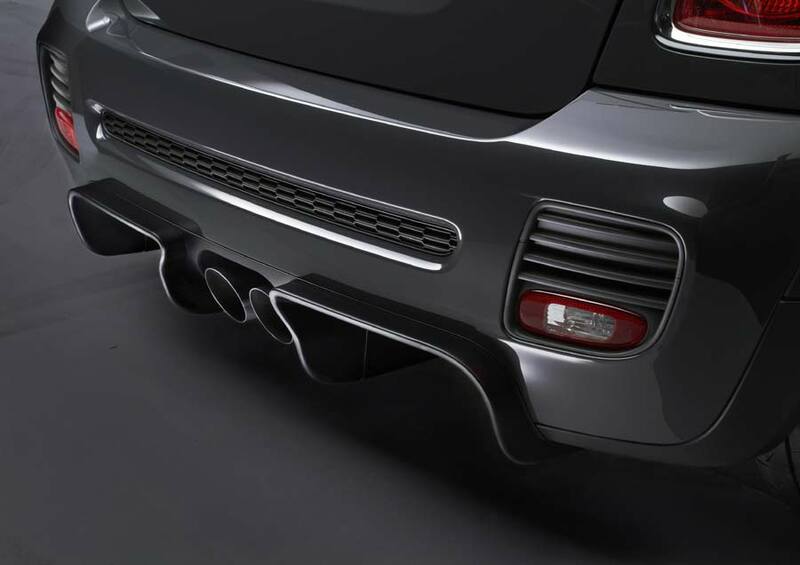 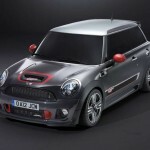 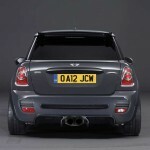 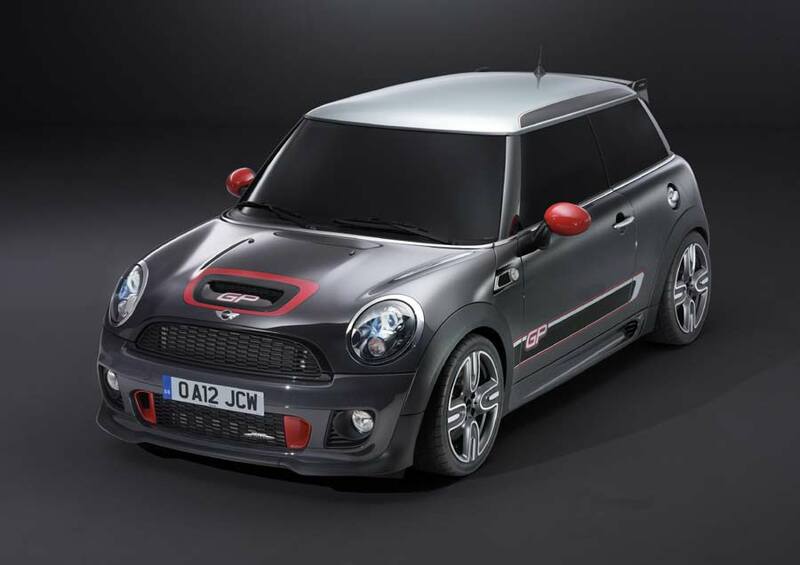 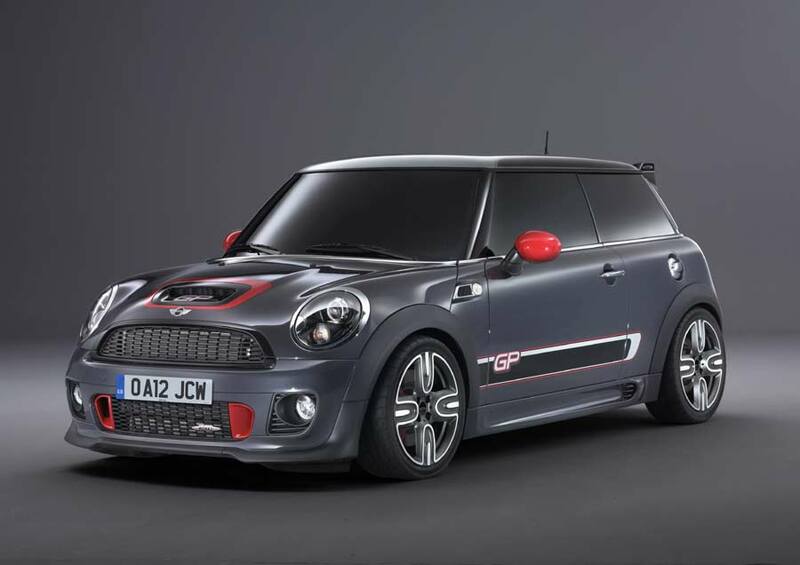 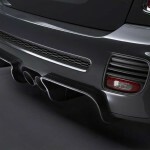 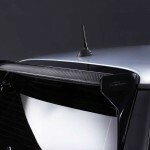 Just when we were on the verge of slitting our collective wrists – to avoid the prospect of yet another so-called special edition, MINI makes it all better by unveiling images and initial details of its 2013 John Cooper Works GP. 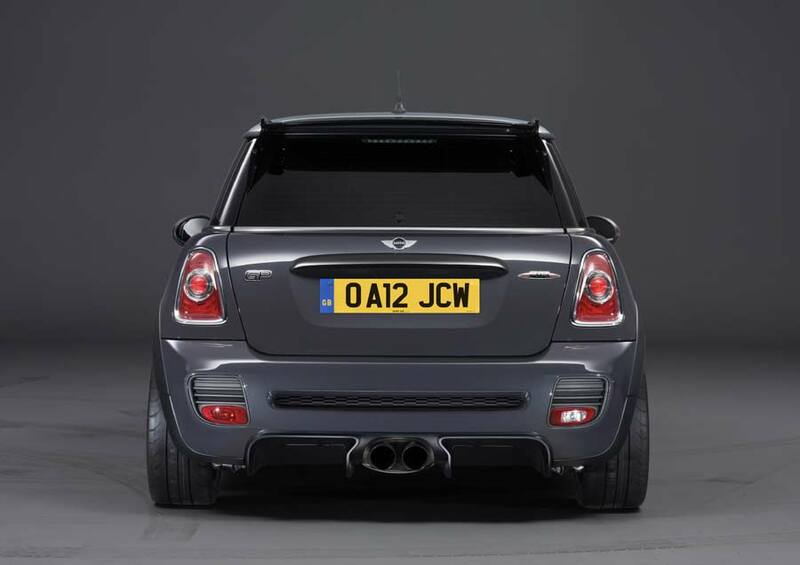 Making its world début at this weekend’s MINI United festival at Le Castellet in France, the new MINI JCW GP wears a striking aero package, which includes large front and rear aprons, side skirts, a bespoke carbon fibre rear wing and a newly designed rear diffuser which smooths out airflow travelling beneath the car, helping to keep it firmly planted to the road – or circuit. 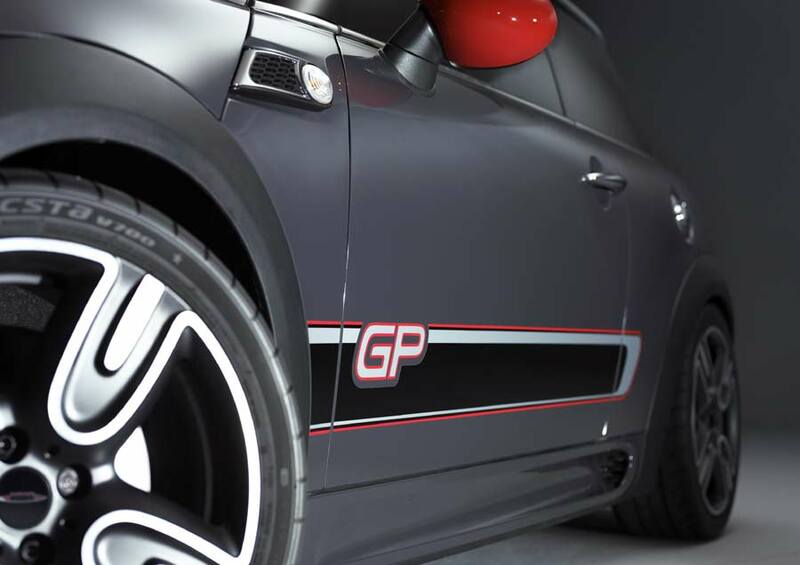 Continuing the track-focused theme, the JCW GP has adjustable race suspension and deleted rear seats, all helping it to eclipse its predecessor on the twisty stuff. 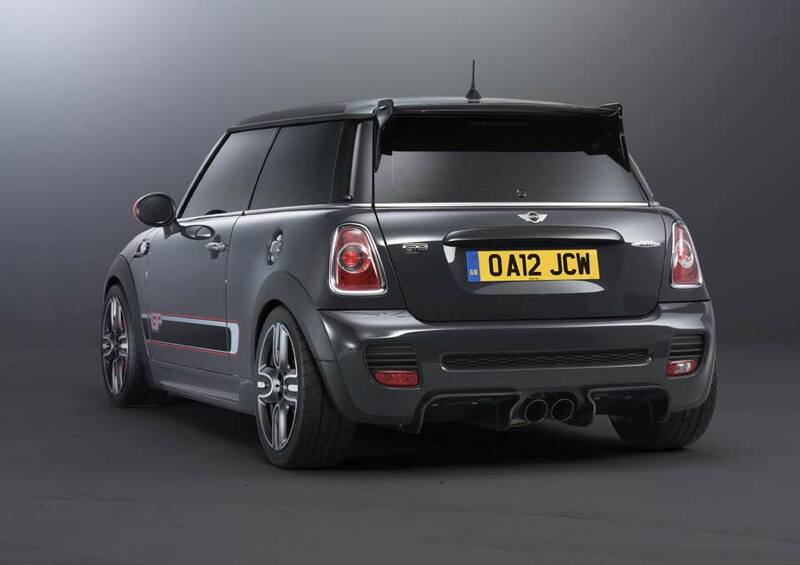 MINI has yet to confirm exact power figures, but we wouldn’t be surprised if it was pushing out around 230 hp. 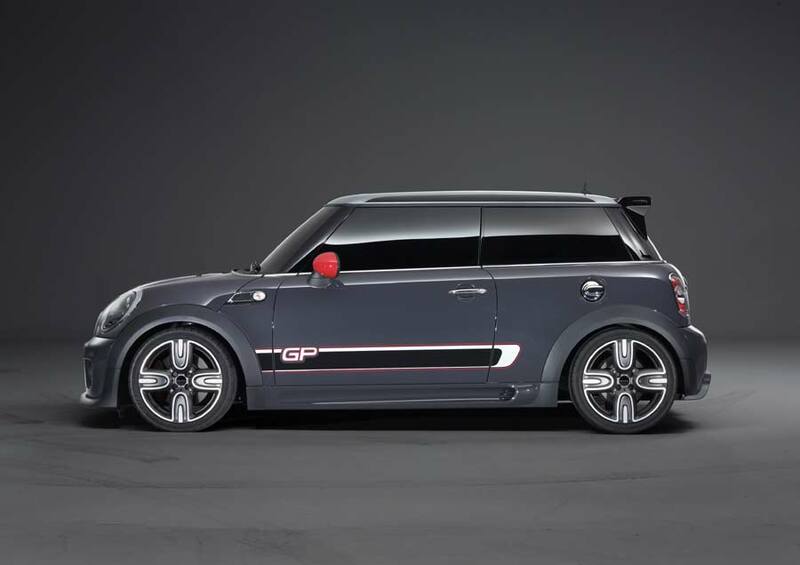 As impressive as the R56 MINI Cooper S with John Cooper Works GP Kit was when it hit the new version recently recorded a time of 8 minutes and 23 seconds around the fabled Nürburgring-Nordschleife – 19 seconds faster than the car it replaces and quicker than machines such as the Lotus Exige S and Audi TTS Coupé. 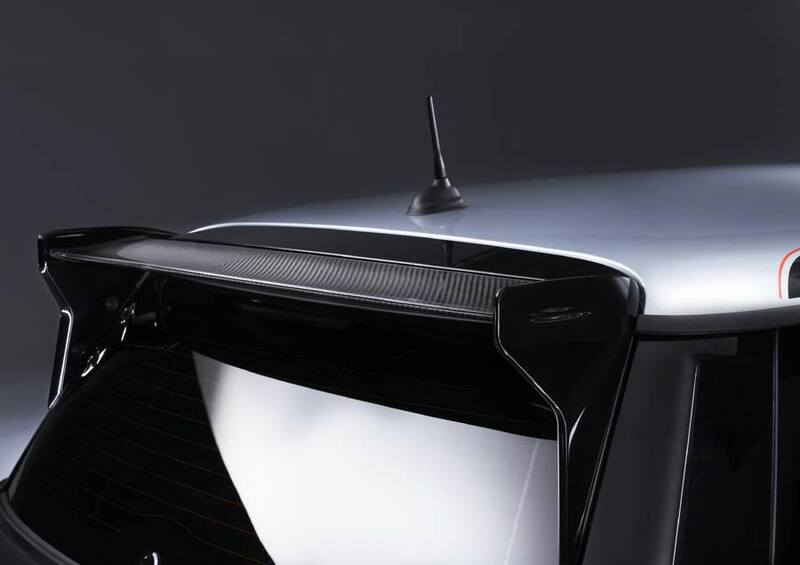 Once again, just 2,000 examples will be produced when it goes on sale later this year.